HR Job Interview Questions With Answer. Here we we. 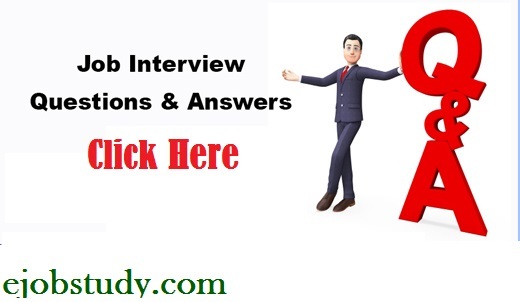 Today we will give you some top and Important HR Job Interview Questions With Answer. I want to give you a quick and easy way to get started preparing for your HR job interview. You can also read tips to success in govt exam. Knowing how to put together a strong answer to the most common HR interview questions is obviously key to landing a job. The art and science of creating great answers involve being strategic in crafting your responses as well as practicing till you’re as strong a possible. The best job candidates are not lucky. They spend a ton of time both in preparation because they know how important that 30-60 minute interview can be to their entire career. Answer: First of all thank you for giving me this opportunity to introduce my self. My name is Saurabh Singh from Agra in U.P. About my education qualification: I have completed my B.A graduation from Dr. B. R. Ambedkar University in the year 2014. My schooling from up board Allahabad. About my family background: There are 9 members of our family, my parents, three brothers including with me and three sisters. Q2: Why should I hire you? Answer: I am a fresher but I have a required qualification what you are looking for. Apart from that, I show much interest in learning new things and technologies and I am a quick learner. I will give my best effort to do my part of a job for the growth of the company and mine too. Q3: What are your strengths and weaknesses? 1. Quick decision maker in the tense situation. 1. Spend lot of time in double checking. 2. Get tense when I have to depend on other for completing given task. Q4: Why do you want to work at our company? Answer: I want to join an organization where I would found my job stability, security, a good working environment like your company had your organization is reputed in the market and I want to be a part of the organization where I can grow myself with the organization personally and professionally. Q5: What is the difference between confidence and overconfidence? Answer: I am able to do this work is confidence and I am only able to do this work is overconfidence. Q6: What is the difference between hard work and smart work? Answer: Hard worker spend more time but achieving less output but smart worker spends less time and achieving more output. Hard work needs arm force but smart work need a brain. Q7: How do you feel about working nights and weekends? Q8: Can you work under pressure? Answer: Yes, Mam. I will work under pressure because the pressure is a part of work and this is a way where we can learn solving/ handle any critical situation and get a solution to the company as soon as possible. So I’m always ready for this. Q9: Are you willing to relocate or travel? Answer: Yes Sir, I definitely like to relocate because it gives me a chance to interact with the new people, new culture, a new language which provides a new challenge or a new difficulty level for me, and everyone know the more difficult situation you handle more you grow. Q10: What are your goals? Answer: My short-term goal is to work in a reputed company under a responsible position. And my long-term goal is to reach an ultimate level to prove my abilities which I have learned. Q11: What motivates you to do a good job? Answer: My parents are struggling a lot with my bright future hiding their pain in front of me. When I see them sacrificing their happiness for me. “I FEEL CAN’T I GIVE THEM A HAPPY MOMENT AT LEAST I SHOULD”. This motivates me to do a good job to see happiness in them. Q12: How much salary do you expect? Answer: I am a fresher. Salary is not the first priority for me. This is a big Platform to start my career and I also want to improve my Knowledge and skill and gain experience. So I expect a considerable according to my ability and your company norms which will fulfill my economical needs. Q13: Tell me something about our company. Answer: It is one of the best fastest growing company in Bangladesh. The work environment of the company is very good. People feel proud to be part of the company as a company provides full support to their employees in professional front it has many branches across the world. So I have good opportunity to show my talent. Q14: Give me an example of your creativity. Answer: Creativity is applying our mind skills and performing a task. Creativity is something even a uneducated person can do. It is not that educated person has a high creativity. A4 sheets of certificates cannot prove a personal creativity. My creativity is using a pen riffle to draw margins in my answer sheet in a poor case of not carrying a scale. Creativity is doing normal day life activity in some different way to make use of the available resource. I personally have done some creative thing like. 1. Using debit card for drawing lines. 2. Using old cold drink bottles as a pot for plants. 3. Using bulb for drawing engaged sheets during my college days. 4. Cooking food mixing 2-3 cuisines (sadly Maggie is banned). Q15: What makes you angry? Answer: Anger happens when situations are not going right. So instead of showing your anger and shouting. Think how can you resolve that situation. By this, you move your anger in a diff direction which is beneficial for you! You can also Like & follow our Facebook Fan Page and Join OurFacebook Group for more details information.